Outsourcing or insourcing? That's the choice facing insurers over loss adjusters. Claire Veares examines the argument. Anyone Looking into a crystal ball to try to determine the future of the loss adjusting market would find the picture emerging was a cloudy one. Outsourcing would be competing for its part of the vision with insourcing and the ball would be unable to decide if either would come out on top. Recent developments illustrate the dilemma. In June, the Capita Group acquired the UK loss adjusting arm of McLarens Toplis for £33m. Capita specialises in providing a range of professional support services to a number of sectors such as local and central government, education and the private sector. Capita's executive chairman, Rod Aldridge, says: "There is an increasing interest in the opportunities afforded by outsourcing the entire policy management process, spanning initial interaction with customers right through to claims administration and settlement. "The acquisition of McLarens, coupled with Capita's existing capacity delivered through Capita Eastgate, provides Capita with the capability to provide a total outsourcing service to the UK insurance sector." A month later, insourcing got a boost, when Royal & Sunalliance (R&SA) picked up Property & Casualty Services (PCS), the former loss adjusting arm of the late Independent Insurance. PCS's staff augment the 800 loss adjusters and investigators already working inhouse for R&SA. 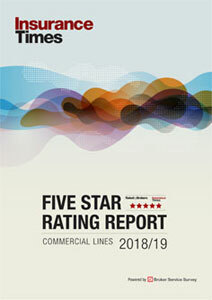 R&SA's personal lines director, Steve Broughton, says in the past few years it had insourced all its personal lines claims and it had worked "tremendously well". He adds: "We'd already decided we'd move in that direction in commercial, but it would have taken us two years to build that up. So when PCS came up, we were very interested." The confusion as to the future shape of the market is well summed up by the chief operating officer at loss adjuster GAB Robins, Benedict Burke. He says the market and the future direction of things is being driven by individual strategies of the insurers. Managing director of customer relationship management at Crawford & Company, George Moss, agrees the market is in a state of flux. He says he doesn't think there is currently any harmony in the direction of the market. Moss says outsourcing is an attractive option for insurers working with affinity groups, such as banks and building societies. It solves the problem of taking on people in-house to deal with the work, only to lose the contract next time it is up for grabs. 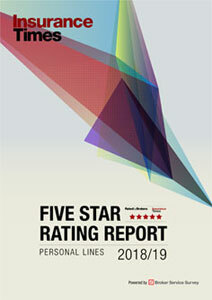 Outsourcing also gains a vote of confidence from director of personal lines at Cunningham Lindsey, Gary Chambers. He says insurers are now tending not to think of claims as being a core part of their business in the same way that sales and underwriting are. "The dominant feature going forward will be outsourcing," he says. Not surprisingly, given its recent purchase, Capita says outsourcing is the way forward. But the divisional director of Capita Insurance Services, Steve Totty, says loss adjusters have to assess their role, too. "What we need to do is work much more closely with the insurers and affinity groups and look to the adjuster's role going forward," he says. Even if insurers outsource rather than insource, one thing is certain. Fewer loss adjusting firms will be needed, as insurers consolidate and cut their lists of partners. Burke says the marketplace is over-supplied with commercial adjusters and points out that some smaller players have already decided to reposition themselves as niche players. Moss agrees, saying the loss adjuster market will mimic the consolidation of the insurers. Chambers sees segmentation in the loss adjuster market having financial roots, with only the bigger adjusters being in a position to invest in the technology that is needed to fit in with insurance companies' preferred ways of doing business. The Claims People, which recently won a place on Norwich Union's household panel, however, disagrees that small players have to be niche players. Its chief executive, Barry Whyte, says: "Logic might suggest the niche market is the right route for some smaller adjusters, but certainly as far as The Claims People is concerned, our niche is personal lines and small to medium-sized enterprises (SMEs)." Whyte concedes loss adjusting is a consolidating industry. "It is likely consolidation will continue and it will get even more competitive and probably more difficult than it is now." But this doesn't preclude opportunities for smaller players. "The industry is big enough to allow new entrants into the market." He says you can create a niche out of a main market if you treat it as seriously as anything else - only going for limited markets is playing into the hands of the big boys. So what is his assessment of the future of the market - will insourcing or outsourcing prevail? "It is a crystal ball job, to be honest. It is actually quite difficult to read." The Society of Claims Technicians (SCT) was formed in 1999 by the Chartered Institute of Loss Adjusters (CILA) to provide a definitive qualification for claims handlers. Candidates are examined in practical claims handling in their particular area, for example motor or subsidence, and insurance law and principles. They also take an interpersonal skills course. This covers communications, writing, negotiation and presentation skills, and how to deal with customers. When candidates have completed SCT exams, members are known as associates (ACST). They become fellows (FSCT) two years later. The society seems to have been enthusiastically received. Training manager at Cunningham Lindsey, Keith Porter, says the company has actively supported the society since its conception. "The SCT and its examinations have filled the educational vacuum between the CII and CILA examinations," he says.
" The CII examinations are very good for insurance in general, while the CILA ones suit field staff dealing with commercial losses." Crawford & Company's international human resources director, Geraldine O'Sullivan, says the company policy is to provide full financial support for those seeking to achieve ACST status. She says it is seen as the benchmark professional qualification for non-complex property claims handlers. GAB Robins UK's chief operating officer, Benedict Burke, says the course is mandatory, with the company putting around 450 staff through the course. He says the ASCT qualification is a step forward. "Our people need to look professional, be courteous and understand the stresses of the claimant." The qualification is also welcomed at Royal & Sunalliance. Claims adviser service manager Bob Fitzsimmons says the insurer looks for its employees to be working towards qualifications. He points to the benefits of the interpersonal skills part of the SCT course: "It's not just about dealing with the technicalities of the insurance contract." Insurers' loss adjuster panels are shrinking. Gone are the days when ten or more companies could expect to get a share. Nowadays, the number is more likely to be around half that figure. "The days of the large panel are over," says claims advisor service manager at Royal & Sunalliance, Bob Fitsimmons,. "You really need to consolidate your spend in as few places as possible, so that you are an important player." Managing director of customer relationship management at Crawford & Company, George Moss, agrees smaller panels allow insurers to have a greater say. "Insurers are very keen on maintaining their own brand. Clearly it is easier to do that with a smaller number of companies." This brand maintenance can also be seen from Axa's comments about how it chooses its loss adjuster panel. Axa's UK claims manager, David Harris, says: "Axa carried out an extensive review before selecting Cunningham Lindsey and GAB Robins as its loss adjusters. The selection was based on their fit with the Axa business and their overall technical capabilities." The largest general insurer, Norwich Union (NU) reviewed its loss adjuster panel in May. It was understood to have had a panel of six adjusters following its merger with CGU. It again chose six loss adjusters, but not as an overall panel covering all areas of claims. Adjusters were selected for four areas - household, commercial, major loss and subsidence, NU said each loss adjuster had been evaluated against a set of criteria which reflected its future needs. The criteria used were customer satisfaction, claims cost management, internal efficiency and areas of specialism. The Claims People and Ashworth Mairs Group were selected following the process, with Woodgate & Clark and Miller which had previously been on the panel losing out. Announcing the company's decision, NU's director of claims, Simon Machell, said: "By measuring each adjuster on the same criteria, we were able to look at their expertise and areas of specialism compared with our own requirements." The outcome follows comments earlier in the year by the insurer that its strategy was to optimise its supply chain and not carry a large loss adjuster panel.